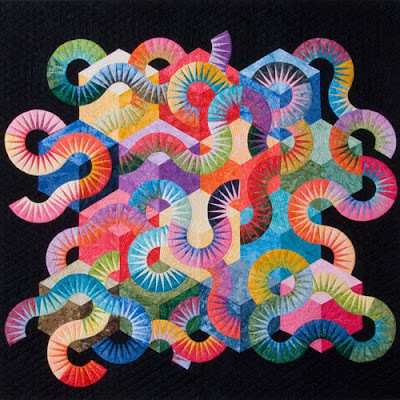 Quilt dealer and collector, Jennifer Burton will give a 30 minute talk about 1930's quilts at the Powerhouse Museum on Saturday 27 February at 2pm as part of the Guild's quilt study group program. Jennifer will bring along some of her 1930's quilts and quilt tops. 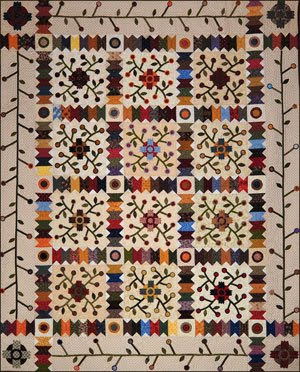 You are welcome to bring along your own 1930's quilts or quilt tops or any you have made that are reproductions of or inspired by these quilts for the members' show and tell after her talk. Afternoon tea will be provided. The talk will be held at the Powerhouse Museum, 500 Harris Street, Ultimo in in Room A of the Powerhouse Learning Centre on the second floor at 2pm. Signage (Quilt Study Group of NSW Special Event) directing people to the event will be at the main entry and on the walkway down to the 2nd floor. Guild members attending this special event are not required to pay an entry fee for the museum. The Guild is proposing a two day workshop with Dutch tutor Jacqueline de Jonge is who is teaching in Australia with the Barbara Meredith Trust. The workshop will run on Saturday, 22nd May and Sunday, 23rd May, Sunday 6 June and Monday 7 June 2010 at Epping Creative Centre. Workshop particulars are under negotiation.and feel free contact the Vice President or ring the office and give your ideas. Advanced bookings will be taken with a $100.00 deposit. The balance will be required by 1 May, 2010. Without knowing which workshops content will be chosen, it is difficult to firm a price just yet. However, with the cost of the dollar as it is, it is anticipated that the fee will not be less than $180.00 for the two days. Further details will be posted as they become available. We will need 16 participants and depending on the workshop chosen, there may be up to 20 places. The New Quilt exhition will take place at the Manly Art Gallery & Museum from 18 June until 25 July 2010. The New Quilt is an initiative of the Guild and the Manly Art Gallery & Museum and is held every two years. Entries are juried and selected for this exhibition and it has become one of the major events on the quilt exhibitions calendar not only for quilters but for anyone with an interest in cutting edge textiles. Every volunteer will receive a specially minted Quilt Show 2010 badge and all volunteers on set up day go into a draw to receive a framed textile artwork donated by Caroline Sharkey. If you have not entered a quilt, we would still appreciate your help so we may present the Guild in the best possible way and ensure that the show runs smoothly. And don't forget, the Guild now offers a special "Junior Group" class of membership (read all about it here). Spread the word to schools, shops and groups in your area. We look forward to enjoying more junior quiltmaker entries at future members' exhibitions. 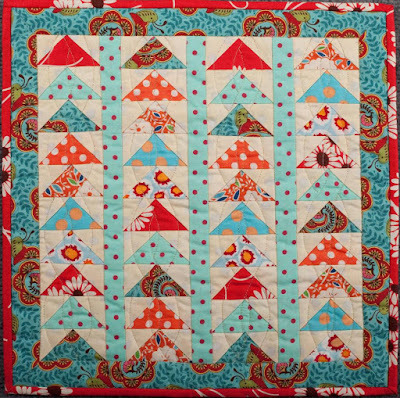 PS: If you downloaded the code for the previous quilt show buttons, you will see that it has been automatically updated to display the 2010 button - no further action required! The first general meeting for 2010 is this Saturday, 13 February at the Burwood RSL ( 96 Shaftsbury Avenue Burwood). It's market day so there will be lots of quilting and other goodies for you to peruse, and maybe buy! Market day commences at 11am. The formal proceedings commence at 1pm followed by a presentation by Guild Vice-President, Yvonne Line who will be sharing a selection of her quilts. Visitors welcome! see you there. Sydney Quilt Show 2010, the Guild members' exhibition, takes place at Darling Harbour from from 16-20 June 2010. Entry forms will be posted out to members this week. The closing date for entries is Monday, 1 March 2010. Carol Timmins presents the the first Friday showcase for 2010 at the Guild office at 10am on Friday, 5 February 2010. All welcome! ($5.50 entry fee). Carol's quilt Migration is featured on for the month of November in the 2010 Guild Calendar. For Designing Matters participants from 2009 who are continuing onto level 2, we will be following through the designs from Designing Matters and cutting and sewing these designs into quilt tops following previous design principals as decided in the former workshop (see workshop summary below). For workshop participants starting with Designing Matters 2 we will be discussing their design work to date and venturing forward with the whole group fine tuning their colour and design skills and creating a new level of design profiles, cutting and sewing these new designs into quilt tops. On Day 1 of the Designing Matters workshop participants debunked their fabrics and designed general quilt pattern layouts and moved onto deciding where these fabrics were placed in their designs. Through stylizing of quilt blocks and their supporting role in their quilt designs, guidance on how to translate these into actual sized templates was pursued. As the quilt profile grew participants accurately recorded these ideas for retrieval at a later stage. On Day 2 of the Designing Matters workshop, participants started to follow their own paths as dictated by their individual design approaches, by sampling blocks and drawing layouts on graph paper and key colouring areas to relate to their fabric placement choices. The two days were rounded out by looking at the importance of bridging elements in both colour and design and layering techniques such as embroidery and appliqué. Workshop fees are $55.00 per day for members and $65.00 for non members. Two members of a member group may attend at the member's price. Book now to reserve your place. Download booking form or contact the office on (02) 9283 3737. Full payment confirms your place in a workshop. return to Sydney, tired but happy quilters. The approximate cost for the three day event is $350 twin shares and includes all accommodation, transport, lunch and dinner on Friday and Saturday. To reserve your place, please complete the form in the December newsletter and forward your $100 deposit to the Guild office (or call 9283 3737). Full payment is due by 22 February 2010.